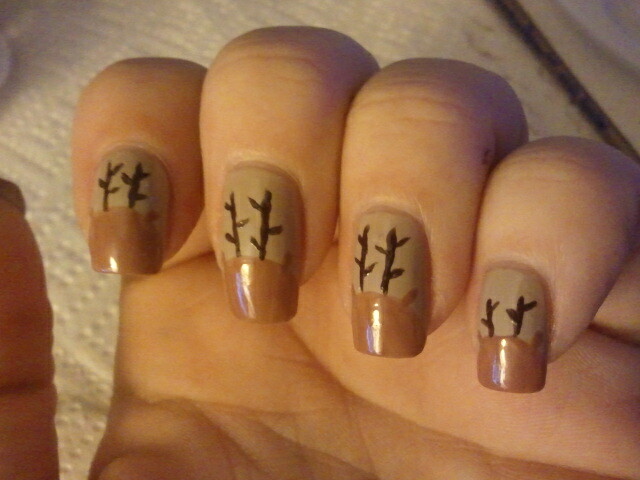 Tonight's manicure shows off just that. Was pretty fun. 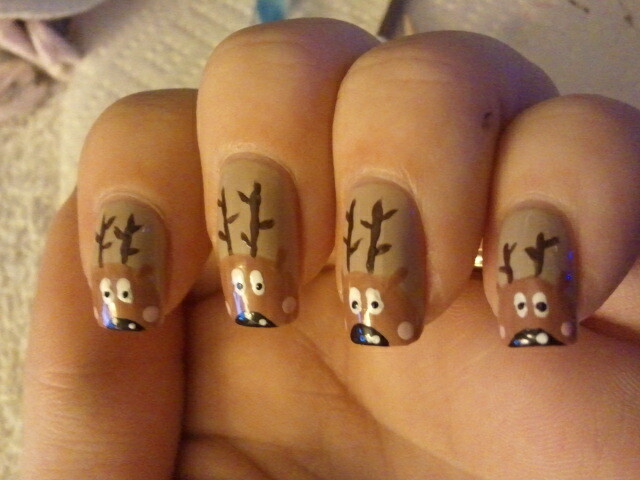 My inspiration came from Simply Rins. 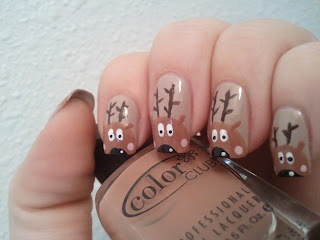 This is also my first tutorial. 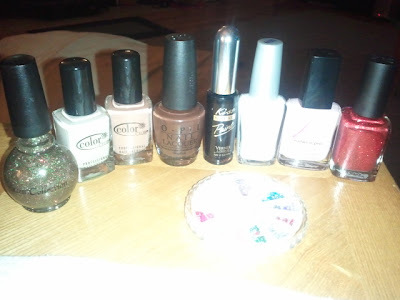 Here we go with the tutorial! 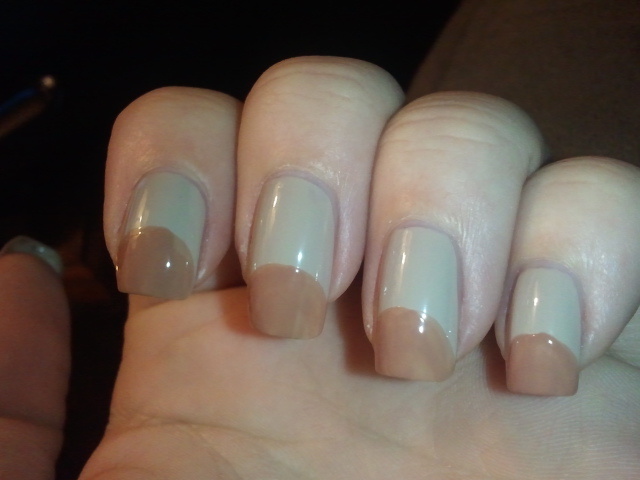 Paint a half moon shape for head (I used CC Earthy Angel). 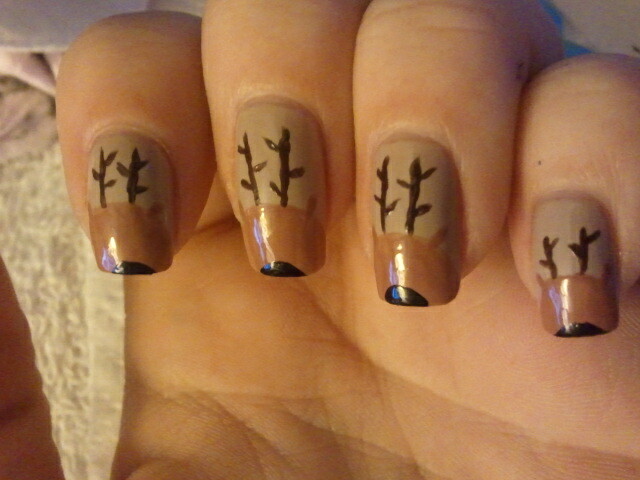 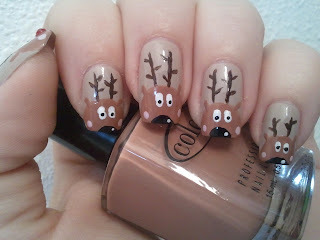 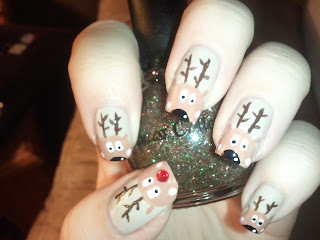 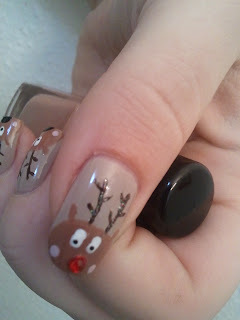 Next I added antlers using OPI Suzi Loves Cowboys using that same small paint brush. Then their cute button noses (I used SH nail art paint in black). 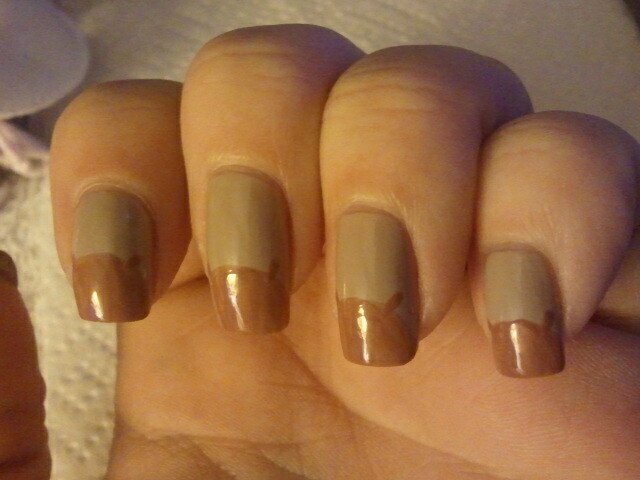 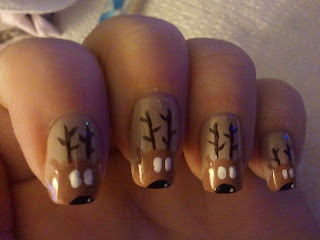 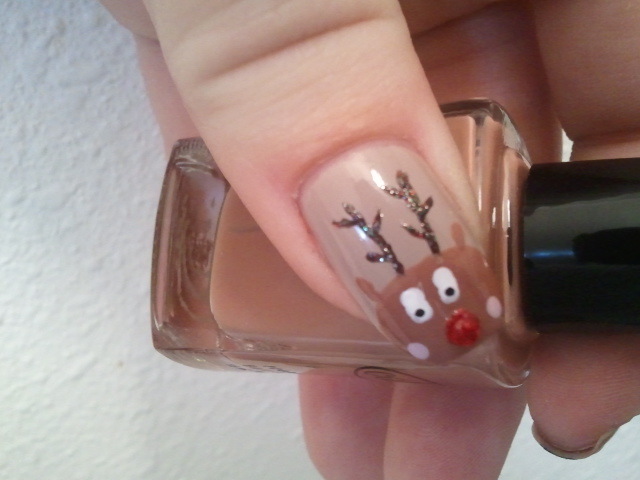 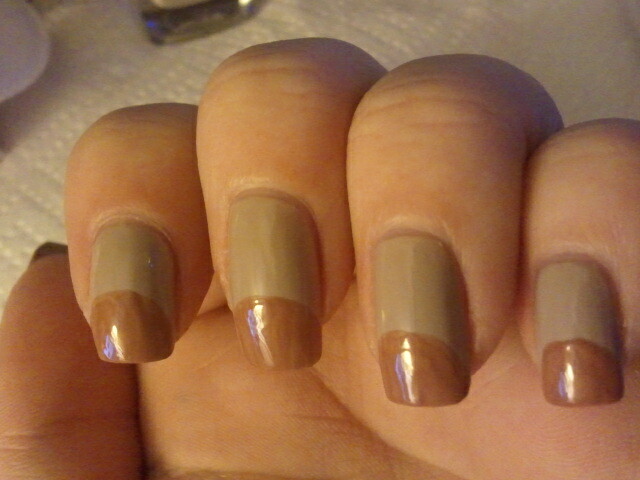 After that dried, I applied Princess Collection #2043 to Rudolph's antlers. It's a gorgeous gold, red and green glitter. 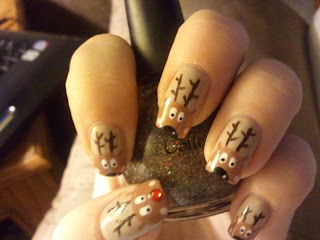 Don't forget Rudolph. 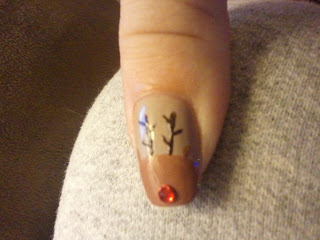 I applied CC Art Of Seduction first then the rhinestone. I used a small end of a dotting tool to make these a little oval. noses to give the illusion of depth and shine. 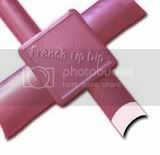 Using a dotting tool and a light pink, add cheeks. Then add small black dots to the white part of the eyes for pupils. 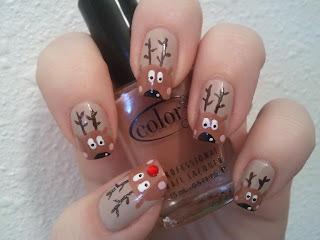 So gorgeous, I love that you remembered rudolph & his extra shine! 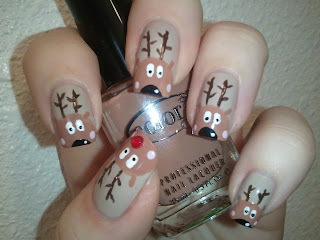 Wow this is sooooo cute! I passed you the Nail Polish to you!! so cuteeeee!!!! 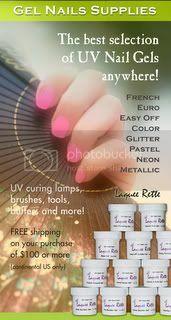 i love the colors too!